Looking for a fun & unique programme for your children this Spring break? 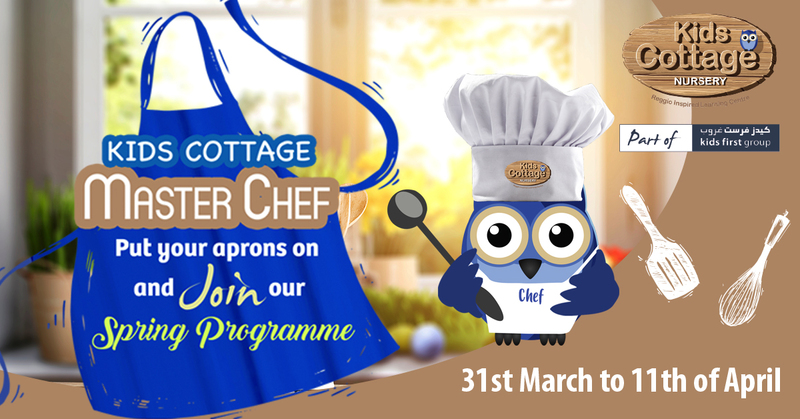 Join our Master Chef Programme from Sunday 31st of March till Thursday 11th of April 2019. Sign up now & grab your free Chef's Kit & 10% Early Birds Discount! 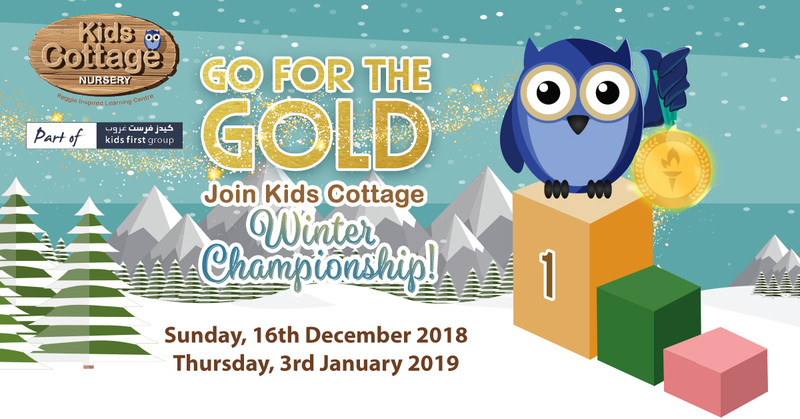 Join Kids Cottage Nursery Winter Championship from 16 December to 3rd January 2019! Enjoy 3 weeks of winter fun with a wide range of activities from zumba, football, martial arts, tennis, active fitness, obstacle adventures and even team games!!! Register today until 15th November and get our early bird discount. Family and Friends package is also available. The Reggio Emilia approach was developed after the world War II, by Loris Malaguzzi and the parents in Reggio Emilia, Italy. It is an innovative and inspiring approach toe early childhood education and values the child as strong, capable, competent, and possessed of great potentials for learning and development. The importance of Documentation, as communication in order to make learning visible. The child as protagonist, collaborator and communicator. The teacher as partner, guide, nurture and researcher. Based on this philosophy, we emphasize the child’s abilities, competences, and natural aptitude, developing and fostering the child in ways that encourage the development of new and inherent talents. These qualities will in turn allow the child to embark on and prosper in life with confidence and skill, especially in his or her future educational endeavors. In addition, learning will take place through positive relationships and caring adults. We do believe that all children have a right to high quality education. Children have the ability to express themselves in more than one way. Loris Malaguzzi, founder of the Reggio Approach, describes the "infinite ways that children can express, explore, and connect their thoughts, feelings and imaginings by the “100 languages of The children”." A hundred different ways of thinking, of discovering, of learning. Through drawing and sculpting, through painting and modeling and that each one of these Hundred languages must be valued and nurtured. 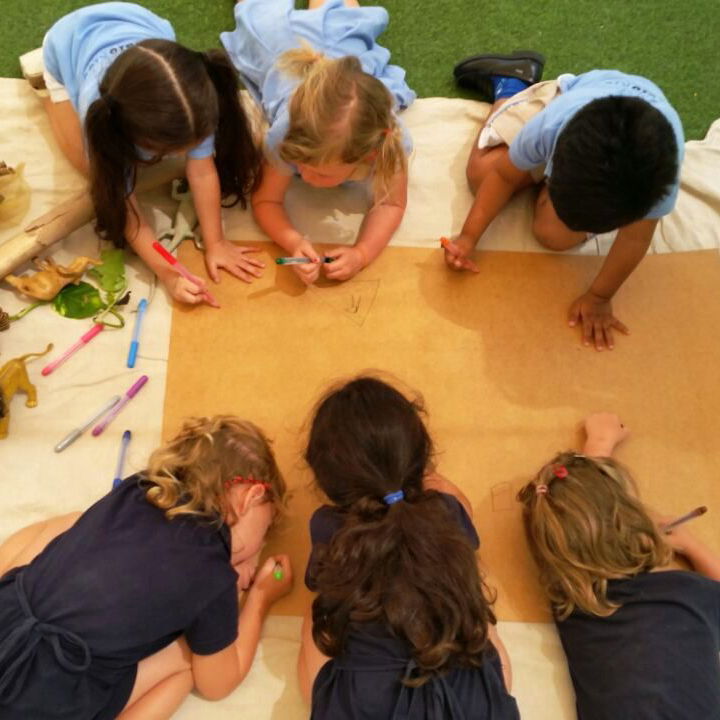 The learning environment or classroom plays a key role in the Reggio Emilia approach. Children thrive in environments that are suited to their interests and developmental stages. 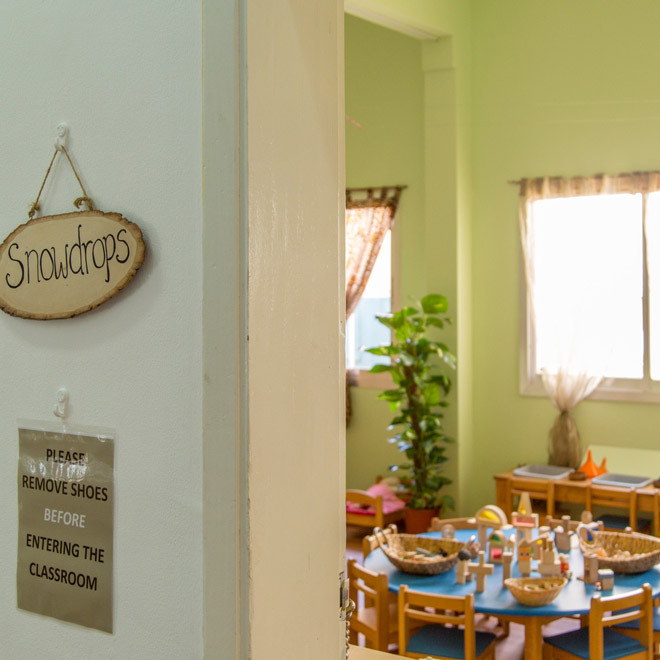 At kids cottage nursery, the environment is viewed as a place that is welcoming, authentic aesthetically pleasing, culturally representative of community, embraces nature and filled with purposeful materials. The layout of the environment promotes relationships, communication, collaboration, and exploration through play. 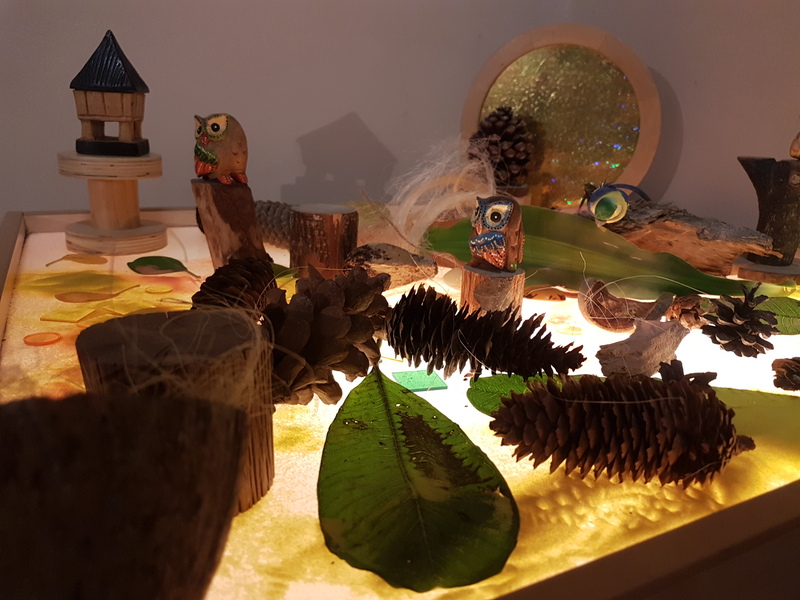 Materials are thoughtfully added to the environment to promote creativity, thinking and problem solving skills, questions, experimentation and open-ended play. At Kids cottage Nursery, we boast a magic creative place called the Atelier(creative Art studio) with our Atelierista(Professional Art teacher). 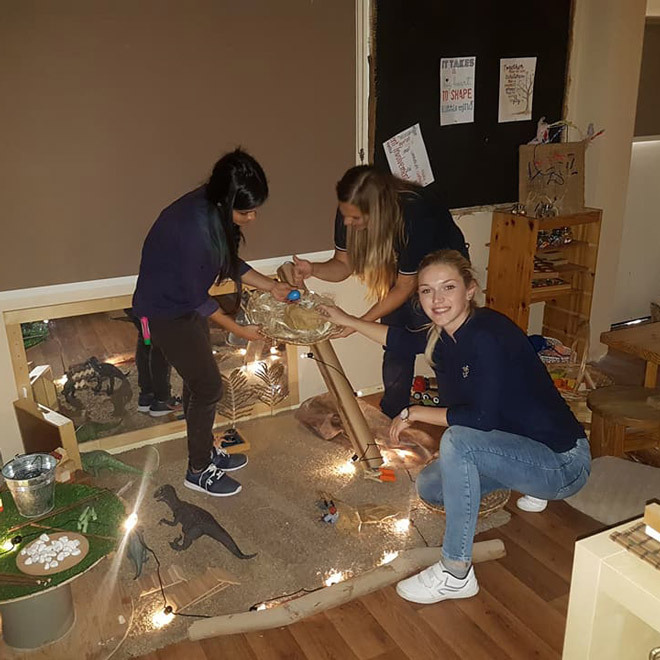 “The atelier is a beautiful space brimming with natural light, beauty, creativity and curiosity, where children are invited to create, explore and experience themselves through using their hundred languages. The encounters with nature, as well as the rhythm of learning in nature are celebrated in the spirit of the Atelier." COMMUNITY HELPERS: Such an important topic to bring home to children for a lot of reasons such as safety, thoughtfulness, and understanding of the way the world works. 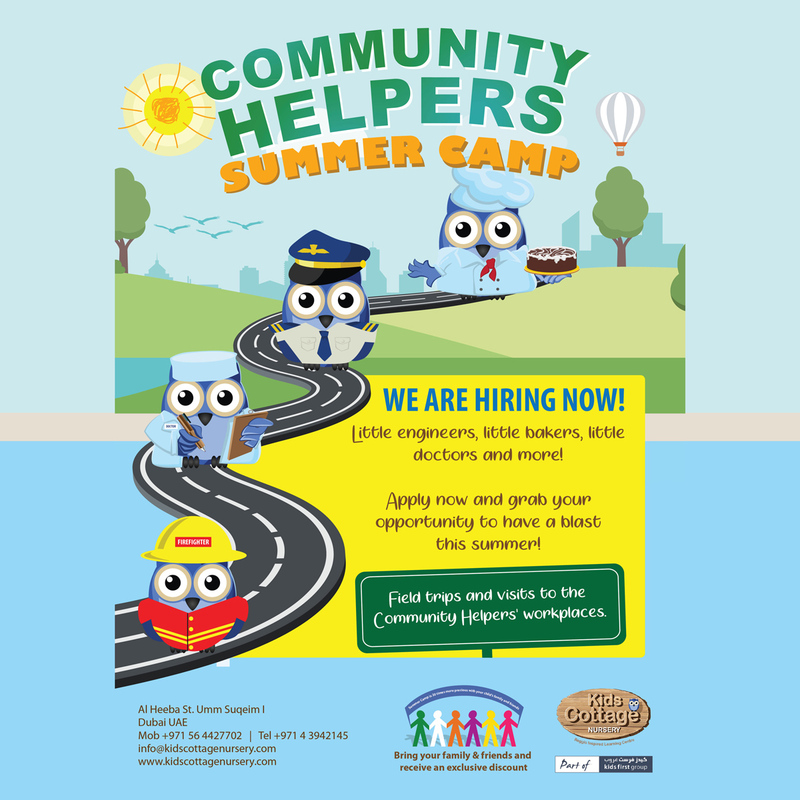 Children up to the age of 7 can join our camp and get the chance this summer to meet community helpers in a safe and fun environment before being asked to trust them in an emergency. When we think like a young child, we realize how alarming an unusual uniform or vehicle might be perceived. By participating in dramatic play with costumes and acting out behaviors of community helpers, children develop important social/emotional skills and are more comfortable with uniforms. It’s comforting for children to learn there are strangers outside of their family who have a concern for their safety and well-being and to understand who they can trust. The children will also learn about building a community through collaboration. During the 9 weeks of camp, we will be visiting some of the community helpers workplaces, such as the post office, the fire station, the clinic…. We will also go on a field trip to Kidzania! Football, tennis, Zumba and martial art classes will be also taking place on a weekly basis. Click here to register your child today! The language of drawing is a daily experience that provides a foundation for authentic expression in other art media in order to give a chance to their creativity to blossom, to their imagination to foster and to their problem solving skills to be nurtured. This experience will deeply occur when a child is experimenting with art materials while learning to make decisions and choices. 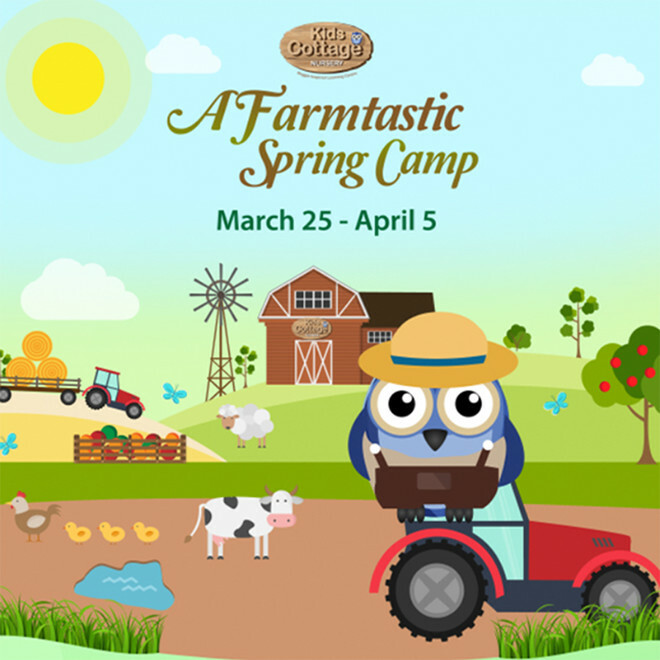 Join our Farmtastic Camp from March 25th - April 5th. Let your little one enjoy visits from the animals to the nursery, a field trip to the organic farm, tennis, martial arts and many more fun-filled activities. There is no other place your child would rather be this Spring. All KFG Nurseries and staff are SCC Certified to create the healthiest, safest and most hygienic environment so that your child can flourish and learning, giving you peace of mind. This was achieved in collaboration with Boecker, with which our nursery and staff have completed a full thorough sanitation, hygiene and safety SCC program. Health and safety. To ensure the safest environment, Boecker covers not only general safety notions, but also sleeping conditions, disciplinary measures and proper handling of the child, transportation means, visitor’s policy, first aid kit inspections and regulations, and proper medication administration. Food safety. To decrease food poisoning, we are trained in storage, temperature control, hygienic behavior during serving and baby bottle preparation. Infection control. To decrease the risk of sickness and outbreaks, we are experts in personal hygiene for staff and children, diapering and sanitation. The SCC is a year-round control program assured by the CIEH-UK, and tailored to safeguard children’s’ physical, educational and emotional wellbeing. The program ensures detailed audits, training of staff members, disinfecting treatments to control germs and awareness sessions for parents. Kids First Group nurseries are the first to receive the SCC certificate. 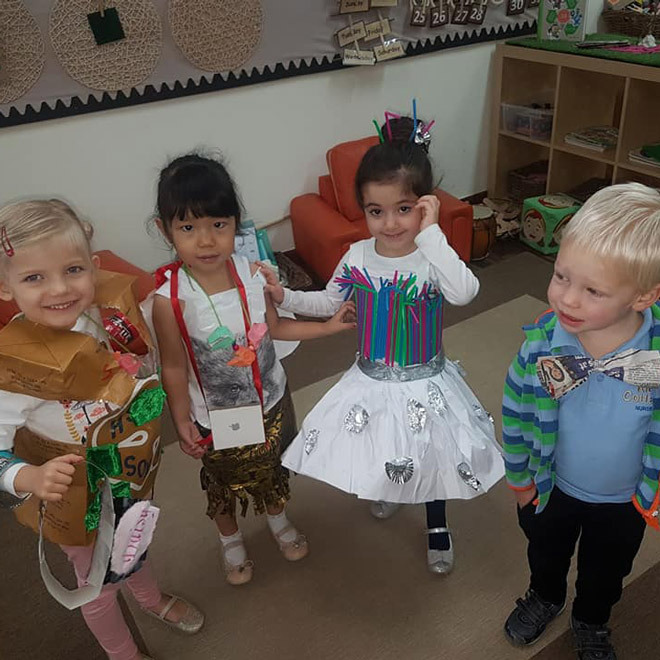 January was GREEN month at Kids Cottage Nursery, and the highlight of our month was definitely the recycling fashion show. The parents recycled and reused some of their trash to make clothes for their children who then walked down the Kids Cottage catwalk! It was a great success all thanks to the parents who showed tremendous creativity in making these outfits and the kids who are now responsible citizens that care about nature and the beautiful world we live in. At Kids Cottage, we pride ourselves on having some of the most qualified and best staff members. They work day, night and weekends to try and be the best educators, facilitators and friends for your little ones. To do this, they go through continuous professional development, especially to learn as much as they can about the Reggio-Emilia approach. On February 12, all the teachers furthered their knowledge through an interactive workshop in which they learned how to set up a Reggio activity that emphasizes exploration and discovery.